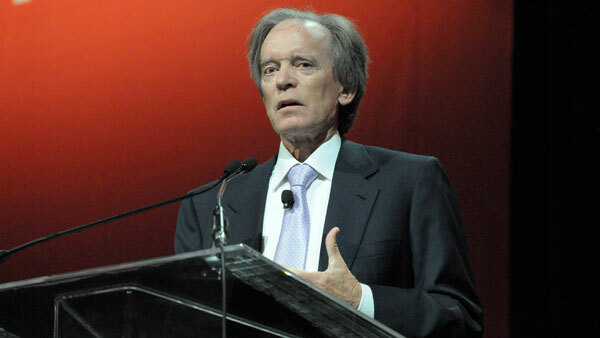 The client redemptions that plagued Bill Gross at his old job have followed him to his new one. The client redemptions that plagued Bill Gross at his old job have followed him to his new one as well. Gross’s Janus Global Unconstrained Bond Fund suffered its first month of net withdrawals since he joined, with clients pulling $18.5 million from the fund in February, Chicago-based research firm Morningstar Inc. estimated. The redemptions left $1.45 billion in assets in the fund, which declined 0.8% this year to trail 96% of similarly managed funds, Morningstar said. Gross joined Janus Capital Group Inc. last year after suffering continuing withdrawals in his prior role as manager of PIMCO Total Return Fund, the world’s largest bond fund. The redemptions are a setback for Gross, 70, who was hired as part of a plan to rekindle asset growth at Denver-based Janus. Gross fueled much of the fund’s growth last year as assets surged from about $13 million before he joined. Richard M. Weil, chief executive officer of Janus, said on a Jan. 22 conference call that more than $700 million of the fund’s assets came from Gross himself. Janus disclosed in a regulatory filing earlier this year that Gross and his family held a 51.2% stake in the global unconstrained fund at year-end. Gross said in a Bloomberg Television interview earlier this month that he will have two to four years to build a track record at Janus, not the 10 to 15 years that he had at PIMCO. Gross co-founded Newport Beach, California-based Pacific Investment Management Co. in 1971 and served as its chief investment officer before departing for Janus on Sept. 26. He is off to a slow start so far. Janus Global Unconstrained has declined 1.7% in the past three months, lagging behind 96% of peers, according to Morningstar. In an investor report for 2014, Gross said the primary detractors from the fund’s performance included holdings in the energy sector as well as Brazilian and Russian corporate debt denominate in dollars. He had also bet that long-term interest rates would rise faster than short-term ones, a position that hurt 2014 returns, according to the report. Since taking over Janus Global Unconstrained, Gross has primarily been investing in corporate debt that matures in one to three years. He has has been focusing on what Janus terms the crossover sector of corporate bonds, referring to those that are rated just above or just below investment grade. Janus saw an 18% increase in profit last quarter as it attracted net new money for the first time in more than five years. Janus reported $2 billion in net subscriptions for the fourth quarter, mostly into bond funds.